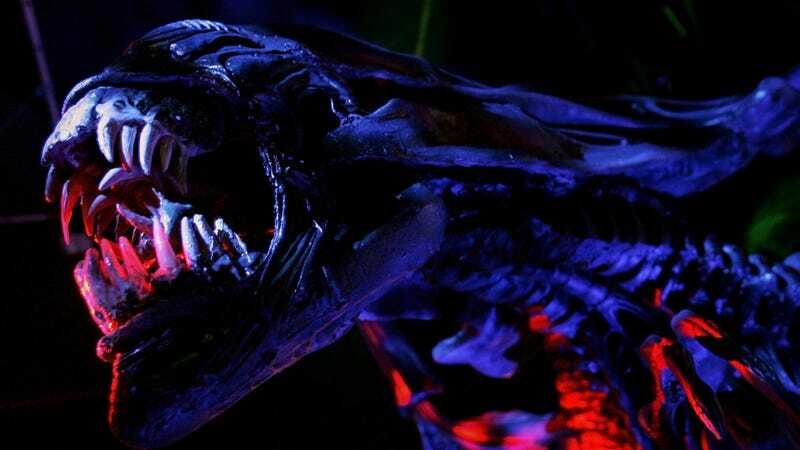 Over the weekend, we were delighted to learn about a high school in Bergen, New Jersey’s incredibly elaborate stage production of Alien, which managed to put together a very impressive recreation of the film’s sets and creatures—including a really good xenomorph—on what was reportedly a shoestring budget. As it turns out, we weren’t the only ones impressed by North Bergen High School’s efforts, with original Alien star Sigourney Weaver and Alien director Ridley Scott both releasing statements of support for the students and the school’s drama department. Scott’s letter also promised to send along some “financial help” in order guarantee an encore performance of Alien, which is very cool.